A restraining order protects a person from physical injury or threat of injury. A restraining order is created by the court and is typically issued against a family member such as a husband or ex-husband, a person you previously lived with such as a boyfriend or ex-boyfriend. A restraining order makes sure the person who puts you at risk of danger stops threatening or harming you. It is also a legal way to keep the person at distance from you, require them to move out of your home or stop harassing you. If you are a victim of domestic violence, a restraining order can prevent any further harm or damage to you and your family. It can help you live free of intimidation and fear and give you piece of mind. If the individual you had a restraining order against disobeys the order, the abuser may be found to be in contempt of a court order and the violation may have consequences, such as jail time. A restraining order lawyer can make sure your legal rights are protected. An attorney can help you fill out necessary court forms and answer and questions you may have regarding restraining orders. A restraining order lawyer will be a good resource to have, especially if the other party is seeking legal help as well. Attorney Search Network can help you find a restraining order lawyer in your area to help you with restraining order issues. 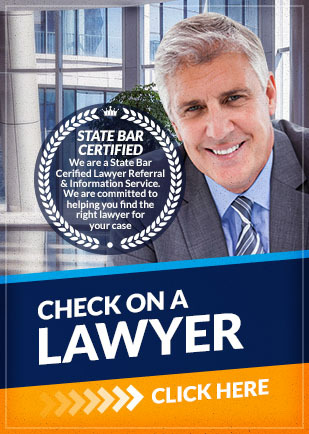 Contact us today to find a restraining order lawyer.